Once the shameful accessory of the secret drinker, flasks are now a favorite for libation connoisseurs. Even Tiffany’s, Kate Spade, and J. Crew are making high-end flasks. Buying a Christmas gift for your mother-in-law is never easy. Year after year I’m baffled with what to get her. A pretty sweater (but what kind)? A nice gift certificate (but to where)? However, this year, she made it easy on me with one pointed request: a flask. I know what you’re probably thinking about my mother-in-law. Let me tell you, you’re thinking wrong. My mother-in-law is a retired high school guidance counselor, a sweet lady who lives in the beautiful north shore Massachusetts town of Newburyport. But she’s also a single malt drinker—specifically, Oban 14—and whenever she would visit friends, she would find none of them had any scotch. They’d offer her gin or wine, but she wanted scotch. She concluded that carrying her own scotch-filled flask was the best solution. Luckily, flasks have radically revamped their image of late. When most of us think of flasks, illicit drinking and inappropriate boozing come to mind. Maybe we have a scummy relative who always squirreled a flask away when attending boring functions, discretely pouring some vodka into his coffee to get through a daughter’s ballet recital. 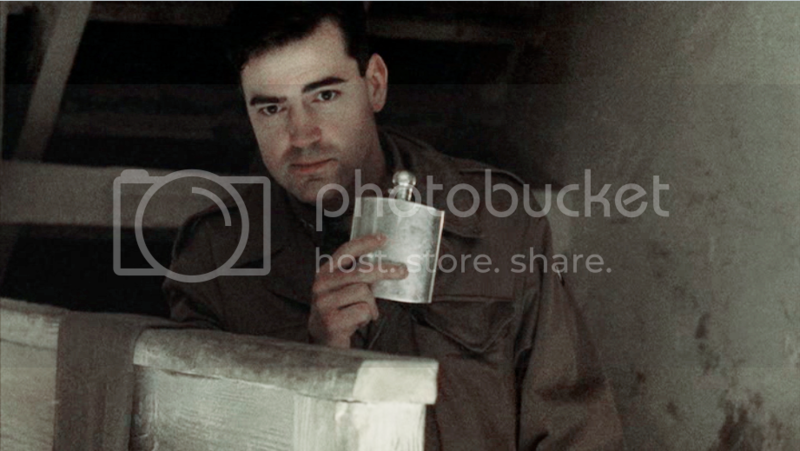 We might recall the alcoholic Captain Nixon, hiding a flask in his footlocker in Band of Brothers. We think of Billy Bob Thornton stowing an Old Grand-Dad bottle flask in his Bad Santa costume. Or, perhaps, we’re reminded of Marilyn Monroe’s good-time girl Sugar Kane secreting away a flask in her garter belt in Some Like it Hot. Flasks nowadays have somehow gone from the exclusive domain of secret alcoholics to that of the savvy drinker who knows “his” or “her” favorite spirit won’t be available at the next locale of the evening. Who didn’t notice Benedict Cumberbatch at this year’s Oscar’s, proudly swigging from a flask to help him get through an interminable ceremony? Design companies have started to recognize the demand. 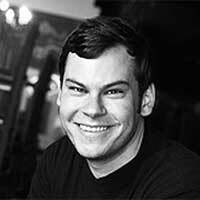 My friend Derek manages a massive sales team that involves traversing up and down the east coast. A bourbon connoisseur, when he’s traveling for work, he always totes his gorgeous Jacob Bromwell flask—usually filled with some Four Roses Single Barrel. Established in 1819, Jacob Bromwell is the oldest kitchenware and housewares company in the U.S. The nearly 200-year-old business makes all sorts of beautiful yet rugged items, from colanders and cookie sheets to “frontier” frying pans and popcorn poppers. Among these delights, though, the product most prominently featured on its website is The Vermonter Flask. In fact, Jacob Bromwell makes a series of high-end flasks: its $199 “Great American” model, its $399 hand-hammered “Freedom” flask, and even a $449 “Doc Holiday Edition”. Their highest-end model is the $649 “Ethan Allen Edition.” The copper flask has a detachable copper chain, a hand-dyed leather case, and a pouch which holds two “Old West”-style shot glasses. Are more relaxed attitudes toward drinking in this country finally allowing the flask to rightly flourish? Sure, public boozing is still not legal per se. But, like jaywalking, have people finally decided to just start doing it, laws be damned? Bernstein has been a flask enthusiast for the better part of 15 years, carrying one ever since he moved to New York City after college. He has a variety of flasks he enjoys taking with him while out on the town. He’s not even scared to share his illicit flasking with his many Instagram followers. “A clandestine nip of bourbon on the subway, or while walking down a dark street, is a beautiful thing. Better still is bourbon shared with a group of close friends. The flask creates camaraderie,” Bernstein told me. Luckily for urban flaskers like Bernstein, centuries-old artisans aren’t the only ones producing models nowadays. While walking down Fifth Avenue recently, I had my own Breakfast at Tiffany’s moment of passionate window-shopping. I wasn’t eating a French pastry and ogling diamond rings, but scarfing some street meat and eyeballing Tiffany’s new “Century” flask. At $900 this sterling silver flask was not exactly reminiscent of anything Doc Holiday or Bad Santa would have carried. Heck, most people I know could not even afford it. Were there really elite Manhattanite tipplers with such money to burn? Unfortunately, Tiffany & Co. never responded to my repeated requests for some clarity. Nevertheless, the fact such a luxury brand even makes one proves flasks are, indeed, red hot. Last week, a flask even sold at auction for $53,000. You don’t have to spend that kind of loot to start wetting your whistle on the go. I really dig New York’s Best Made Co.’s sleek little pewter flask for $98. Vargo makes a handsome titanium number for $75. J. Crew stores have a solid leather option for just $45. Kate Spade’s rounded “Happy Hour” flask is just $40, and it is perfect for slipping into your purse before a potentially terrible Tinder date. As for my mother-in-law, I finally found her a dainty teal flask on Etsy. It wasn’t hand-hammered copper or sterling silver, but the company did allow me to get it monogrammed with her first name. Okay, so they screwed up and accidentally wrote “Doona,” but it still worked well at holding Donna’s Oban. Now, she can finally enjoy scotch without disturbing gin-guzzling pals—and that is the best gift of all.